Jewish Democratic lawmakers criticize Netanyahu over nixing of deal with UN to avoid mass deportations of African infiltrators from Israel. JTA - Eighteen Jewish Democrats out of 21 in the U.S. House of Representatives wrote to Israeli Prime Minister Binyamin Netanyahu to say they were “dismayed” and “disappointed” over his retreat from a plan that replaced his earlier proposal to deport tens of thousands of illegal immigrants from Israel. The letter said the lawmakers were “heartened” on April 2 when they learned that Netanyahu had worked out a plan with the United Nations to process the half of the infiltrators through regularized refugee channels only to hear within hours that he had reversed himself. 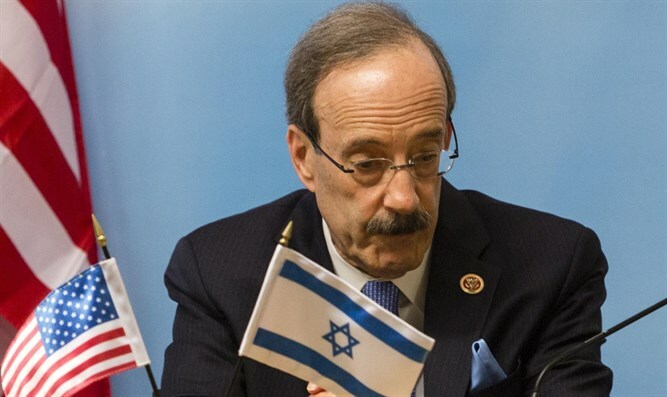 “We were dismayed to hear that the agreement had been suspended, then canceled, leaving the Sudanese and Eritrean asylum seekers in limbo, with no clear next step,” said the letter sent Monday and initiated by four of the top Jewish lawmakers: Reps. Nita Lowey, D-N.Y. the top Democratic appropriator; Eliot Engel, D-N.Y., the top Democrat on the House Foreign Affairs Committee; Ted Deutch, D-Fla., the top Democrat on the House Middle East subcommittee; and Sander Levin, D-Mich., the longest-serving Jewish member of Congress. The lawmakers said they were writing as Jewish Congress members and also on behalf of their constituents; the majority of the lawmakers represent districts with substantive Jewish communities. “Many of us have heard in recent months from constituents who care deeply about Israel and who are also gravely concerned with the respect to the future of the approximately 38,000 asylum seekers living in the Jewish state,” the letter said. Netanyahu announced a plan in January to deport and/or jail the infiltrators. That plan was vigorously criticized by the international human rights community, as well as an array of Jewish organizations and figures in the United States, including a number that rarely openly criticize Israel. The United Nations plan would have left half the illegal immigrants in Israel with undetermined status while seeking countries willing to absorb the other half, a process that can take up to five years. Netanyahu dropped the U.N. plan after coming in for several hours of lacerating criticism from his own government. Netanyahu said he would revert to his earlier plan to send the infiltrators to an unnamed African country, believed to be Uganda. Refugees experts say that without the checks of a regulated migration under the auspices of an international organization, deportation is fraught with peril. “While we recognize the complexities of this situation, we were disappointed by the decision to cancel Israel’s agreement with UNHCR,” the U.N. High Commissioner for Refugees, “and we urge you to quickly find a solution that is in the best interest of both Israel and the refugees,” the letter said. Also signing the letter were Reps. Susan Davis, Brad Sherman, Adam Schiff and Alan Lowenthal of California; Jerrold Nadler of New York; Jan Schakowsky of Illinois; Lois Frankel and Debbie Wasserman Schultz of Florida; David Cicilline of Rhode Island; Jacky Rosen of Nevada; Steve Cohen of Tennessee; Jamie Raskin of Maryland; John Yarmuth of Kentucky; and Jared Polis of Colorado.